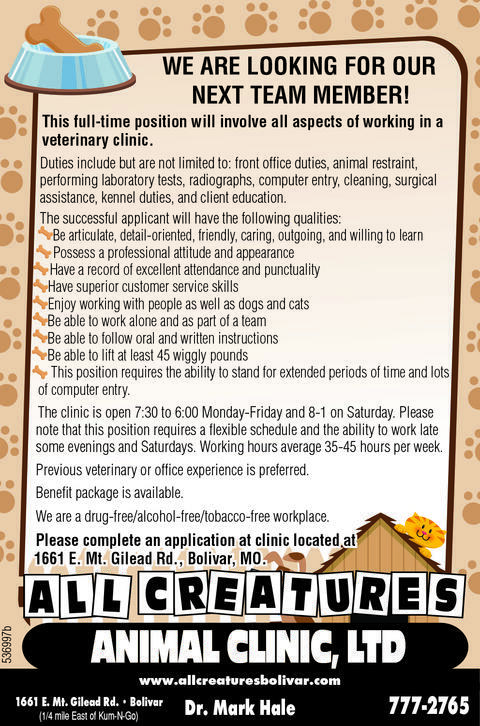 All Creatures Animal Clinic, Ltd. opened in historic Bolivar, Missouri on October 4, 1999. Mark Hale, DVM, and all of the staff at All Creatures Animal Clinic, love animals and believe that they deserve quality health care. Pets are a large part of many people's lives, and pet health is a major concern for many pet owners. 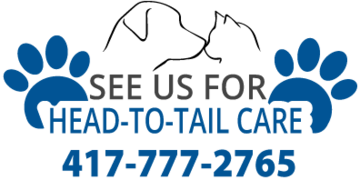 In addition to basic care for dogs and cats, All Creatures Animal Clinic offers quality food and pet care products for optimal health care for your pet. All products are top quality and will provide health benefits for your pet. how you can save money on your favorite products! !